Branden Christensen and Mike Hotchkiss have a big goal - empowering citizen scientists to study the world around them. Together with their team of engineers from Raspberry Shake they've launched a few seismographic tools and are now running a crowdfunding campaign for Raspberry Boom, an atmospheric monitor build around the Raspberry Pi platform. Raspberry Boom hopes to unlock the power of infrasonic hearing, and allow users to detect and catalog low frequency sounds. 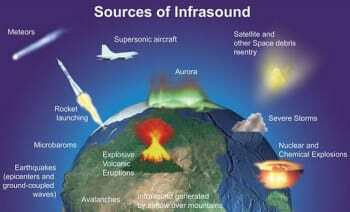 The group says that several sounds can be detected including geological events, weather patterns, natural phenomenon, cultural and manmade sounds, and astronomical events. Additionally they say that if an alien ship enters our atmosphere or a superhero flew around our planet that the Boom would detect its vibrations. Boom units are compatible with Raspberry Pi Models B, B+, 2 Model B, 3 Model B, Model Zero and Model Zero W. The major components are the Raspberry Pi computer, the Boom addon board, and the pressure transducer sensor. The Raspberry Boom is great not just because the team has added another tool to its catalog, but also for the tests that have been conducted or planned in the upcoming months. 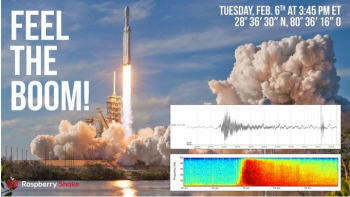 In February 2018 the group captured signals from the SpaceX rocket launch and the three sonic booms that followed. Now working with Danny Bowman and his 42 foot diameter solar balloon, the team hopes to break the world record for highest altitude. The balloon will have a Raspberry Boom as its payload along with other data collecting equipment to document the mission. Hashtags #BoomBalloon and #RaspberryBoom can be used to follow their progress. The group at Raspberry Shake is full of great engineers, designers and programmers and we've covered them a few times previously at ENGINEERING.com. The video in this article is a discussion about the device and how it works, the campaign video is a little more marketing focused. Their crowdfunding campaign has already blown beyond their funding goal and will end on April 21. First units are currently scheduled to be shipped in July 2018.